With the support of AGS Bucharest, the German School in Bucharest brought Christmas joy to 52 children from the Association of St. Stelian. With the support of AGS Movers Bucharest, the German School in Bucharest brought Christmas joy to 52 children from the Association of St. Stelian. Although the kids were naturally focused on the presents, the packaging was AGS’ iconic red-and-white boxes; made even more special when they were handed over by Santa Claus himself! Staff from AGS Bucharest joined members of the American Chamber of Commerce in their ‘AmCham Goes Green’ project for a greener Bucharest, with participants planting trees in the AmCham forest. 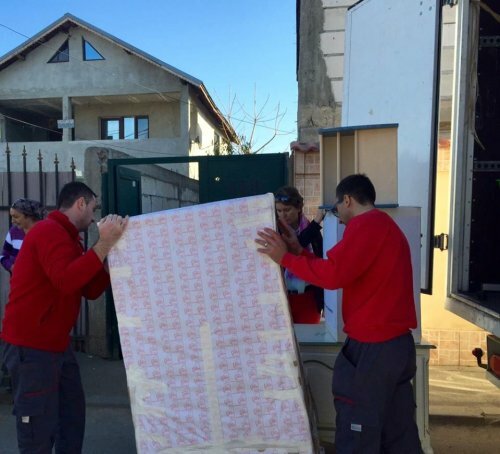 During Romania’s summer, AGS Bucharest collected clients’ donations of furniture, toys and clothes, and in November these were handed over to the Inocenti Foundation.